Conscription is seen as forming a site and an issue-area around which different identities are struggled over and core political relations established in a security-related context. The unravelling of conscription thus unavoidably pertains to a set of essential ideational issues and has significance far beyond the military sphere. The contributors to this book explore the more profound issues such as the meaning of conscription in the context of the increasingly feeble relationship between the state and the nation. The analysis relates the question of changes or lack of change in recruitment to broader social, political and cultural issues, thereby breaking new ground. Attention not only focuses on what the military manpower systems do, but also on what they represent. As such, conscription has meaning far beyond the sphere of military affairs. 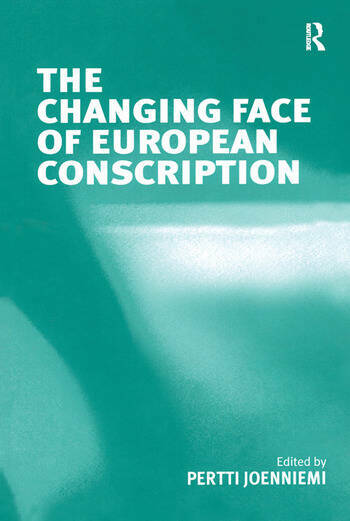 Contents: Introduction: unpacking conscription, Pertti Joenniemi; Farewell to conscription? the case of Denmark, Pertti Joenniemi; National or international? contending discourses on Finnish conscription, Kari Laitinen; The rise and death of conscription: the case of France, Jean-Philippe Lecomte; Resisting change: the politics of conscription in contemporary Germany, Kerry Longhurst; The power of the draft: a century of changing legitimacy of Norway's armed forces, Karsten Friis; Enduring conscription: vagueness and VÃ¤rnplikt in Sweden, Anna Leander; The Swedish military manpower policies and their gender implications, Annica Kronsell and Erika Svedberg; Conclusion: national lexica of conscription, Anna Leander and Pertti Joenniemi; Index. Pertti Joenniemi is Senior Research Fellow at the Department for European Affairs, Danish Institute of International Studies, Denmark.